A new project will help the grazing industry across Northern Australia better manage drought and climate risks through a range of research, development and extension activities. 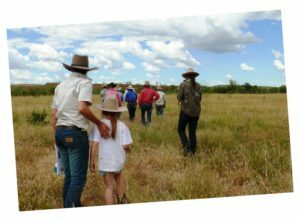 The $8 million Northern Australian Climate Program (NACP) is a partnership between the Queensland Government, Meat and Livestock Australia (MLA) and the University of Southern Queensland (USQ) with extra on-ground support coming from the Northern Territory (NT DPIR) and Western Australia (DAFWA, Rangelands NRM). NACP will improve seasonal and longer-term climate forecasting and develop tools and information systems, and provide support to use these forecasts. The practical management options delivered by the project will help producers build resilience and increase business productivity, leading to more profitable and sustainable grazing businesses. Research within NACP includes working with national and international climate modellers to improve seasonal forecasts for Northern Australia, improving predictions of multi-year droughts and wet season onset, and quantifying the development of fast developing, or ‘flash’ droughts. Development activities will focus on boosting productivity in our variable climate through better climate risk management tools, digital technologies and producer networks. Extension programs will focus on directly engaging with producers to improve knowledge and skills to support proactive management of climate variability. NACP is one of the nine projects of the $17.5m Drought and Climate Adaptation Program (DCAP). DCAP is bringing together the best climate scientists, climate advisers, and cutting-edge researchers in the state, nationally and globally to work with the government and industry leaders to help Queensland primary producers better manage drought and climate impacts. Further information on NACP is available on our website. Pasture plant identification at Ruby Plains near Halls Creek, DPIRD. Photo credit: Rope Wortley. 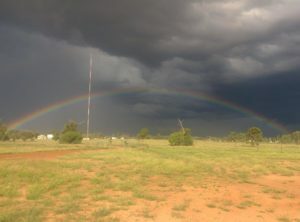 The rainbow connection, Charleville. Photo credit: Jed Sommerfield.